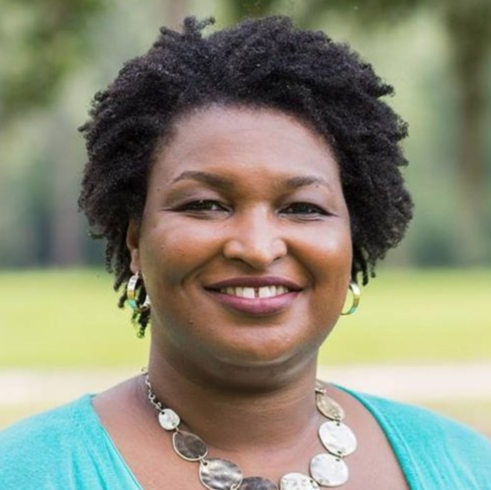 WASHINGTON (AP) – Stacey Abrams, the rising political star who marshaled the power of black women voters but narrowly lost the Georgia governor’s race, will deliver the Democratic response to President Donald Trump’s State of the Union address, congressional Democrats said Tuesday. Abrams narrowly lost the governor’s race to Republican Brian Kemp after a protracted challenge over blocked votes. A group backed by Abrams filed a federal lawsuit this month saying Georgia deprived many low-income people and minorities of their voting rights with Kemp, then secretary of state, overseeing the 2018 election. The Democrats’ selection of Abrams is intended as a visual and philosophical counter to Trump’s speech to a joint session of Congress on Feb. 5 in the House, which Democrats control. Trump has a history of making inflammatory remarks about black and brown Americans, as well as Muslims and immigrants. He’s questioned the intellect of Democratic Rep. Maxine Waters of California, now chairwoman of the House Financial Services Committee. He’s referred to black Florida gubernatorial candidate Andrew Gillum as “a thief” because of an undercover FBI investigation into his acceptance of Broadway tickets. Abrams’ travel and meeting schedule in recent weeks shows how hotly Democrats have pursued her as their top choice for the Georgia Senate seat. She’s been inundated with calls from Democratic Party leaders, including Schumer, Pelosi and Senate campaign chief Catherine Cortez Masto. Abrams also met privately with presidential candidate and California Sen. Kamala Harris, members of the Congressional Black Caucus and Democratic House members from her state. The State of the Union response often serves as an audition of sorts for ambitious political figures looking to raise their profiles. But it’s also frequently a thankless task, with brutal reviews. Republican Sen. Marco Rubio’s lunge for a water bottle became a meme after his response in 2013. Then-Louisiana Gov. Bobby Jindal, a Republican, was panned for being dull in 2009. In 1996, then-Republican presidential candidate Bob Dole gave a less-than-boffo performance that was widely criticized for its delivery and for the lighting.